different astray gundam frames of gundam seed series, the m1 astray, gold frame, red frame, and blue frame. 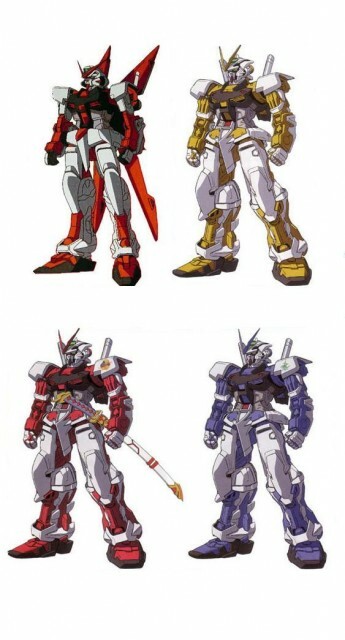 i think the red one is also pretty cool. especially that samurai sword. Mobile Suit Gundam have good Mechas.